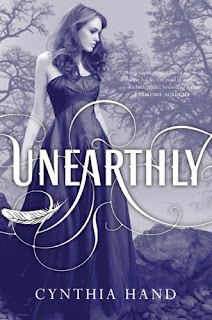 Unearthly is an amazing debut YA. It was very unique and definitely is a series to watch out for. The premise behind the book is absolutely amazing, and definitely is not predicable at all. Stone Kissed is a nice, quick PNR from a new author. When Delia Forrest talks to statues, they talk back. She is, after all, the last of the Steward witches. After an arsonist torches her ancestral home with her estranged father still inside, Delia is forced to sell the estate to pay his medical bills. Her childhood crush, Grant Wolverton, makes a handsome offer for Steward House, vowing to return it to its former glory. Delia agrees, as long as he'll allow her to oversee the restoration. Working so closely with Grant, Delia finds it difficult to hide her unique talent—especially when their growing passion fuels her abilities. The premise of the book was great but I unfortunately found the romance in this book to be slightly unbelievable, at least on Grant's side. Perhaps unbelievable is the wrong word. A better description would be distant, in that I wasn't really sucked into it. Grant just was too calm and calculating about the whole thing, and it made it very hard to believe that he actually loved Delia. Love is something that is supposed to be all consuming, not something you weight the pros and cons of. I admired Delia's strength and restraint in keeping her heart hidden from him in order to stay an individual and not just another possession in his collection. She fell almost immediately head over heels for him, and while he offered everything she could have dreamed of, she stands strong. Having his heart means more than anything else possibly could, and she wouldn't accept anything less than his love. Putting the almost one sided relationship aside, I enjoyed the book, especially how well fleshed out the characters and world were. The stone statues were probably the best aspect of the book as they added large amounts of comic relief. The fantasy aspect adds a nice touch to book without detracting from the main theme of romance between Delia and Grant. The book is definitely worth reading just for Delia's side, as she is a very strong and interesting character. I also found the "villain" to be both realistic and a very believable threat. 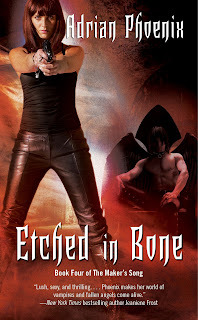 I look forward to reading more from this author as this was a good new entry in to the paranormal romance genre. I recommend this book to anyone who likes a quick, lighter read, with a strong female lead. Clara is part angel, giving her special abilities that she must keep in check to keep from notice. Being angel blood means she has a direct purpose in life that is the sole reason she exists. She has visions of a forest on fire and boy she knows she must save. Her family moves to the place from her dreams so she can fulfill her purpose, but things get complicated when she meets the boy from her dreams. The problem is that there is another boy, Tucker, and he just doesn't fit in with her purpose. She thought it would be easy to fulfill her purpose, but she quickly realizes just how wrong she was. There will be sacrifices and an ultimate choice between betraying her purpose, or her heart. I absolutely loved Clara's character. She is so strong and determined, yet also like any other girl with insecurities. While it is apparent that she is very beautiful to everyone else, Clara stays very humble and just doesn't see herself that way. I was very impressed with her ability to see past the purpose "blinders" she had on in the beginning. While this goes against everything she was taught, it also allowed her to open up to loving Tucker. Going against the grain like she did took immense courage especially since she doesn't know what will happen if she doesn't fulfill her purpose. It is much easier to make a choice when you know the consequences than when you don't and I admire her for that. For the most part love triangles frustrate me more than they entertain. I've just never been a huge fan of messy teen love angst. However, that being said there are a few books where the "triangle" was so well written that I cannot imagine the book any other way. This was one of them. Clara was definitely torn between the two main guys, but it wasn't your typical "I love them both" story. Suffice it say one she loves due to a sense of duty and honor, and the other is more a of a true love. Only time will tell whether her head or her heart will win in the end. By the end of the book my own preference in her final choice had changed several times, and I cannot wait until the next book to see where things go between the three of them. To say that I enjoyed this book would be an immense understatement. It has to be one of the most original YA books that I have read in a very long time, especially one with a love triangle. The ending was a major twist that I never saw coming and I cannot wait until the next book to see what is in store for Clara and the boys. I devoured this book in one sitting, I just couldn't get enough. On a side note, the cover is gorgeous on the physical book. The online pictures just do not give it justice. All in all I have to say this would have to be one of my most highly recommended YA books, and I hope everyone enjoys it as much as I did. Stealing Time is a great book by a new author that is definitely worth checking out. It's a nice blend of paranormal romance and urban fantasy. 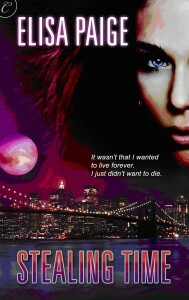 I went to bed crazy early Monday night so I could get up early on Tuesday to start reading Shadowfever. I was so excited about the book and I'm very glad my expectations were met. Check out my review to see what I thought of it.. Don't worry, there isn't any spoilers. This book was very hard to review without spoiling anything. I can honestly say it was the most engrossing book I have ever read. From the beginning, until the very last words I was completely sucked in. In fact, I actually cried while reading the very first chapter, it was that emotional in such a short amount of time. All of the pressing issues are solved and the questions are answered. Only one major question remained at the end of the book, but the answer was something Mac decided she didn't really need to know. I don't have a problem with this as a little mystery makes things much more interesting in the end. I'll admit, as much as I wanted this book, I also was a little hesitant to read it. I wasn't sure how just one book could tie up all of the issues and leave me with a sense of happiness and satisfaction. I am very happy to say that I was wrong and that I should never have doubted the author. The book was every bit as good as the predecessors and left me more than satisfied. Many times after reading a final book in a series I will feel almost hollow and just generally disappointed. Not because the book was bad, but because I just didn't feel any satisfaction in the ending or knowing that I was saying goodbye to the characters. With Shadowfever, this just is not the case at all. The ending is everything it should be, leaving me happy and content, an absolutely rare feat in any final book. I would highly suggest not reading this book if you haven't read the first four. You need that foundation to give this one the justice it deserves. As the Author promised, it is a story about light, not darkness. However, as they say, the night is always darkest before the dawn and that definitely is the case with Shadowfever. Be prepared for one heck of a roller coaster ride full of countless emotions that will leave you reeling, and desperate to know what happens next. If I could rate this higher than a "five," trust me, I would. I hope everyone enjoys Mac's final trials in life, love, and war as much as I did. My hat goes off to the author for this amazing world she created and the awesome cast of characters. Bravo! It wasn't that she wanted to live forever. She just didn't want to die. When artist James Wesley realizes Evie Reed is dying, he is so moved by the beautiful reporter's determination to live that he makes her immortal—a vampire, like him. She's the woman he's been waiting over 150 years for. Though initially shocked by the change, Evie quickly embraces her second chance at life, and love. 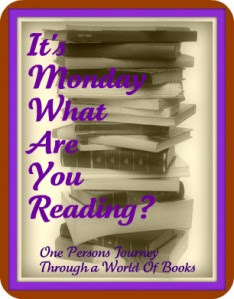 The book starts with Evie getting the worst news of her life, the cancer is terminal and there is nothing they can do. She plans on living out the rest of the time she has left on her terms, but her time comes much quicker than anticipated when a truck hits her cab. To save her life a secret admirer, James, changes her into a vampire. Although her new life is very different and overwhelming at times, she still falls quickly head over heels for him. However, her bliss is cut short when a war breaks out and an ancient treaty is broken. With everything crumbling around them, they must stand strong to have any hope at surviving the war. Evie had a rough childhood. At a very young age her mother dumped Evie off on the porch of a Grandmother she has never met. While her grandmother did care for her, she wasn't the type to coddle, so Evie grew up keeping herself at a distance from everyone. She struggled at first to accept her feelings for James, but once she did, it felt like a floodgate had opened. I really loved the chemistry between them as well as his determination to be a gentleman. At any point during her vulnerability her could have taken advantage of her weaknesses but he never once thought to despite the fact that is part of a vampire's instinct to claim the ones they turn. They work really well together, they had the comfort that ususally only comes from years spent together. Things were pretty steamy as well, but not overdone. Something I have always liked in vampire/werewolf books is a very strong mate bond. Most of these type books talk about predator or animal like instincts, so it would make sense for them to be fiercely protective of their mates. Perhaps I am a romantic, but I love the whole "mate for life" idea or soul mates. James and Evie really developed this type of bond and I love how the author made the mate instincts very strong in this book, yet didn't make them seem over done. Just to warn everyone, this book does have a pretty big cliffhanger ending. I had thought this was a stand alone novel, so the ending really caught me off guard. However, I am glad it will continue as I really enjoyed this book and would love to read more about their adventures. 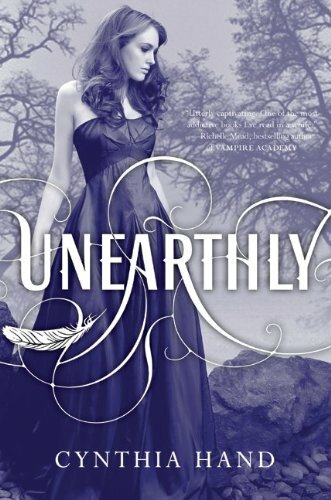 I highly recommend this book for both paranormal romance and urban fantasy fans as this book is a very good blend of both genres. There is plenty of romance, but the plot moves along nicely, and it more than kept my attention. Try this author out, you won't be disappointed. Pack of Lies definitely impressed me. I wasn't too thrilled about the first book, but this one was much better and the series seems to be going in a really interesting direction. I'm really glad I stuck it out because this one was definitely worth reading. 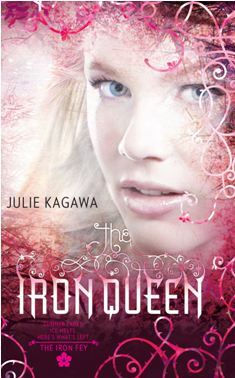 As far as The Iron Queen goes, Well I LOVED IT! The resolution was very fitting, but surprisingly there was also a cliffhanger. It turns out there will be more books, but they will be about Ash. I'm actually really happy about this because I would have been really sad if their stories had not continued as I love the world and characters that Julie Kagawa has created. I really recommend checking this series out. I cannot tell you guys how much I love Netgalley. They are by far the easiest way to get ARC copies of books that I have found, and the titles available keep getting better as more publishers are added and it becomes more popular. Okay, so I actually read these two books a while ago, but I saved the reviews for closer to the release dates. I personally don't like to read a review of a book that won't come out for months as it usually torments me even more about a book I'm desperately waiting for. Besides, if you read that review too early, by the time the book finally comes out, the hype has died down and you have forgotten about it. That is why I post my early reviews within 2-3 weeks of the release. That is early enough to still get pre-orders in, but not so far out that you forget about it before the book is finally released. What do you guys think? When do you typically post your early reviews? In less than twenty-four hours I’ll be seventeen. Although, technically, I won’t actually be turning seventeen. I’ve been in the Nevernever too long. When you’re in Faery, you don’t age. So while a year has passed in the real world, agewise I’m probably only a few days older than when I went in. In real life, I’ve changed so much I don’t even recognize myself. Before Meghan even has a second to breathe, trouble strikes again. The iron fey are after her even though both her and Ash are exiled from the Nevernever. They thought they had left that world behind them. In this book they not only return, but are thrust right into the midst of extreme danger, where they quickly realize that Meghan is the Nevernever's last hope for survival. She is the only one who can withstand iron's cruel effects, so it is up to her to once again destroy the Iron King and stop the spread of the Iron Realm's poisons. It's an impossible task, but if anyone can do it, it would be Meghan for she harnesses both Iron and Summer Glamour, and has the determination to face anything that endangers the ones she loves. The amount of personal growth Meghan's character did from the first book into the second is nothing in comparison to just how much she matured in this one. She is no longer content to sit on the sidelines and be protected by others. If there is danger, she steps right up and fights along side her allies. She has gone from being the liability of the group to one of its strongest members. I find her determination to always do the right thing no matter the consequences extremely admirable, as well as her unflinching devotion to anyone she cares about. This book was jammed packed with so many emotions, fear, anger, betrayal, love, hate, misery, hope, the list could go on and on. The amazing thing was that I felt each and every emotion right along with the character. I was so far sucked in, that it all just felt so real. Even though the love triangle was still somewhat in effect in this book, its importance seemed much less. The resolution was very realistic, and I think it had the best possible outcome for all parties involved. As a certain character says, "Some of us have been around long enough to know when to let go." I was completely caught off guard by the cliffhanger ending since I thought this was a trilogy. I panicked at first until I read a little further and saw that there will be a new book coming out from Ash's perspective. Even though the ending makes me desperate to find out what happens, this new gave me a little relief to know that we won't be kept hanging forever. All in all, if you enjoyed the first two books, then you will love this one. Make sure to pick it up as soon as possible. And if you haven't checked out this series yet, well what are you waiting for? You won't be disappointed. The PUPI team gets a case that seems pretty open and shut. However, they quickly realize things are much more complicated. Tensions rise between the humans and the fatae and it will only take a single spark to ignite a dangerous showdown. Its up to the team to get to the bottom of the case before it's too late. Meanwhile other tensions are brewing as unexplained events happen between Bonnie and Ben making it harder for her to ignore her feelings for him. It seems almost everything is this book is only one step away from disaster and it's up to the team to walk that fine line without stepping over the edge. My biggest frustration about the last book was the extremely slow pacing. This book however, really picked it up. As soon as they pick up the case, it becomes a roller coaster ride to solve it. I really love how the team or "pack" is really working great together now. While they still clash at times, they really have solidified their bonds and will stick together through it all. I really love how all of them interact, especially the "big dog bosses." Despite their gruff exteriors you can tell that underneath they really care for their "puppies." This book had some major sexual tension. Bonnie has always been extremely open about her personal life and sexual preferences, or lack there of as she doesn't discriminate on gender. However, for once she may just have some secrets. From the start she has had a major attraction to one of the bosses, Ben Venec. In this book, it becomes apparent that he has some serious attraction to her as well. They both know it would only be a recipe for disaster so they try their best to stay away from each other. But some pretty strange things start happening between them that make it almost impossible to stay apart. Only sheer will power keeps them separate. You can almost taste the tension coming off the page. I'm really glad that I gave this book a chance. After reading and not really enjoying the first book I was pretty sceptical about continuing the series. The biggest reason I did was while very slow, the first book did pave the way into a really intriguing world. The premise behind these books is really interesting and original, and I'm really glad this one was able to hold my interest much better. The additional sexual tension really added to the book as well, and makes me very eager for the next installment. All in all, it was a much better book than the first one, and now that the world is fully established, and the kinks are mostly out, I hope the series continues on this "new" path. 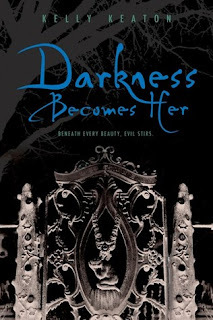 Thanks to Netgalley I was able to read the second book in the Dark Brethren series early. I enjoyed the first one, and this one even more. 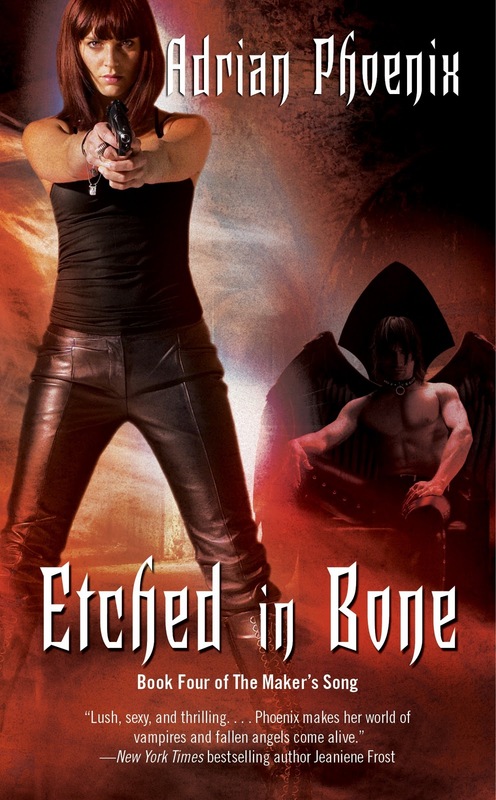 This series is definitely worth checking out for paranormal romance fans who like an overall series arc. I also read Awakened, which I have been waiting for awhile. I know this series has been getting a lot of flack, but I enjoyed it. I think this book started a step back in the right direction, and the next one should be back to the gang all working together again, I hope. And what about Stevie Rae and Rephaim? The Raven Mocker refuses to be used against Stevie Rae, but what choice does he have when no one in the entire world, including Zoey, would be okay with their relationship? Does he betray his father or his heart? In the pulse-pounding 8th book in the bestselling House of Night series, how far will the bonds of friendship stretch and how strong are the ties that bind one girl’s heart? Dealing with the aftermath of her soul shattering, Zoey still isn't herself. She needs Stark more than ever and she knows the Goddess has truly blessed her by giving him to her. She decides to stay on the Isle of Skye for the time being to give herself some time to cope and regroup. Meanwhile Neferet continues on her path of darkness and destruction, but now she has the Council backing her again, making her that much more of a threat. Of course Stevie Rae is still bound to the Raven Mocker and it is really starting to cause problems. Her heart is being ripped in two from hiding the secret and her true feelings, and something has to give before it is too late. The stakes only keep getting higher in the quest for light over darkness and it will take all of them to hold to the path of the Goddess and not give into the darkness. Everything really seemed to come to a head in this book. I won't get into specifics to ensure nothing is spoiled, but I will say that several issues from previous books do get a sort of resolution, while many other ones rear their ugly head. This book is told from several different perspectives, so we get to see how everyone is dealing without getting stuck with only Zoey's view. Sometimes rotating point of views can be very frustrating to read, but after I got used to it, I realized that the rotation made this book much better than it would have been with only Zoey. The conflict is now so much bigger than her, so that warrants the views of others being seen. The rotation was executed nicely and it was very clear who had the focus at the time, making it flow really well. This book at root seemed to be about solidifying relationships. Again I won't go into specifics, but the lack of unity from the previous is well on its way to being resolved. One of the biggest things I loved about the early books in the series is how close knit Zoey and her friends were. As time went on, however, that was less and less the case. It was so hard to see everyone "splitting" apart, that it made the books slightly less enjoyable. I was very happy to see things start in the right direction in this book, and the "gang" banding together again despite the awful things that have happened. I look forward to the next book with hopefully a stronger and unified front, that will let them lean on each other and become a true force against the darkness again. As I mentioned before, the rotating perspectives took me some time to get pulled into the story, but once I did, I was completely sucked in. The stakes are just as high as the previous books, if not higher, and the characters have been tested well beyond their believed limits. Their continued perseverance is nothing short of admirable, and I cannot wait for the next installment to see how everyone handles the shocking ending events. Everything has changed, and everything is at stake, making this a very good addition to an already great series.